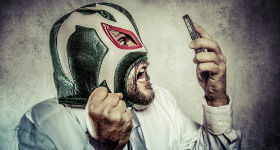 In the wild world of mobile apps – and it is wild, with more than 1.5 million apps available to mobile users (as of May, Google (News - Alert) Play topped the app markets with that figure) – the key is not only developing an app that addresses a need (demand), but also one that creates instant attachment (desire). There are many factors that go into each of the two ‘D’s, but fundamentally, if you design with them in mind, you’re on the right path. Users are typically willing to try new apps – but they are just as happy removing them, or at least forgetting them, if you don’t create a connection with them right away. Quettra’s data shows that within three days of install, the average app loses more than three-quarters of its users, and within three months, more than 95 percent. So, how do you become one part of the rare breed of apps with sustained, high usage? Certainly, luck has something to do with it. We’ve seen multiple games like Angry Birds and Candy Crush go viral and live long lives – though both have launched sequels that have not enjoyed nearly the same levels of success. Back in 2011, an app launched that was supposed to make it simple for users to pay their restaurant and bar bills via their mobile devices. TabbedOut provided a secure payment platform that would allow customers to view and pay tabs (including the ability to split them with others) from the phone and without any required intervention from the waitstaff. The app has grown since, expanding slowly into various metro regions across the country. Still, through May 2014, it was available in only some 5,000 locations, though that number has doubled today. Perhaps, the app has reached some critical threshold of users or venues resulting in an exponentially increasing visibility factor, thus drawing in new users. In the case of TabbedOut, there also seems to be a feet-on-the-ground variable. My first experience with the app happened just recently in New York when I was approached by a TabbedOut representative and handed a rather enticing coupon card that would give me $20 off my bill if I registered for and paid by TabbedOut. Why not give it a try? Downloading was easy – as it is with any app on Google Play (or the App Store for you iOS users), as was account setup. Now we were ready to pay. Not so fast! I tried to look up the tab on the app, but it couldn’t locate my check. Bad sign? Fortunately, the rep was close by and came over quickly to check on us and was able to set us on the right track. It seems I may have jumped the gun and tried to look up the tab before the bartender had identified it as a TabbedOut account. Lesson learned. Feet-on-the-ground to the rescue. Our friendly local rep, however, was on hand, right on queue, to help not only get the initial discount offer activated, but she was also able to have the bar staff enter an additional $10 discount and walk us through the payment process step by step, until it processed, tip included (which can be entered via percentage of dollar value, including setting a standard tip amount in the user preferences, though that can always be adjusted for any bill). Finally, the bill was paid and I was on my way. It took much more effort that I would have liked, but, thanks to the responsiveness of and help from not only the TabbedOut rep, but also the venue’s staff, I’m not ready to delete the app quite yet. I wish there were more venues locally that were part of the TabbedOut network, but if the company continues its hands-on promotional tactics, I have little doubt its expansion rate will increase. A long story for a short lesson: app developers can’t rely on luck. If they have an app that makes sense and is intuitive, getting personal with users is a great opportunity for increasing usage and loyalty. It’s easy to delete an app that you think doesn’t work, but, in this case, because a rep was able to show me how to properly use it, I know it works and have seen a negative experience turned into a positive one. But the broader lesson holds for any business: the more you engage your customers, the more they will feel an attachment to your brand. A recent $21.5 million Series C funding round should help the app continue its personal marketing tactics for a while.